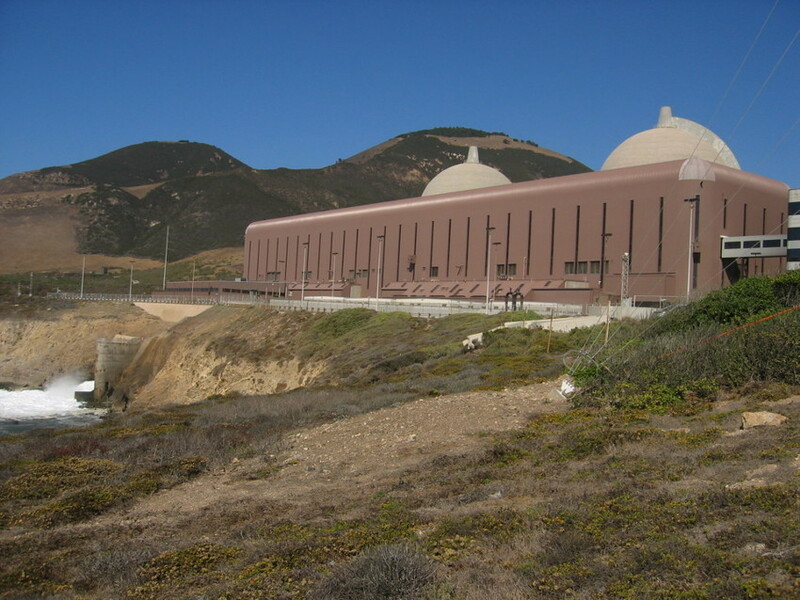 An environmental group is pushing for a public review of the Diablo Canyon nuclear power plant's license, amid concerns about the seismic safety of the Central Coast plant. The environmental group Friends of the Earth has file a petition for review in the U.S. Court of Appeals. It's the latest move in the group's longstanding campaign to shut down California's only remaining nuclear plant, which supplies about nine percent of the state's electricity. Recent discoveries of geologic faults near the San Luis Obispo County facility should trigger a public re-assessment of the plant's safety, said Friends of the Earth spokesman Damon Moglan. Instead, he said, the Nuclear Regulatory Commission and PG&E changed how earthquake risk is assessed in the plant's license, without public input. "There really has to be a full public review of whether or not this plant is safe," he said. "And whether or not it's worth the risk of operating a decrepit 40-year-old plant designed in the 1960s in the most seismically active area of any reactor in the United States." In its petition, Friends of the Earth said the Nuclear Regulatory Commission violated federal law and its own internal policies by making the change to Diablo Canyon's license without public review. The group said the plant should be shut down until a full review is complete. A new fault was discovered near the plant in 2008. Earlier this year, PG&E completed its own study, finding that even with that additional nearby fault, the seismic risk to the plant is below what the plant was built to withstand. "The facts are: the plant was built with earthquake safety at the forefront," Blair Jones, a spokesman for PG&E told KQED. "It's a seismically safe facility. And it's in full compliance with NRC licensing requirements." A former inspector at Diablo Canyon released his own analysis, saying the NRC was not applying its own safety rules to the plant. A spokeswoman for the NRC says the agency will review the petition.